Dinosaurs of the Cretaceous Period Laminated. Size: 24 W x 36 H (61 x 91 cm). 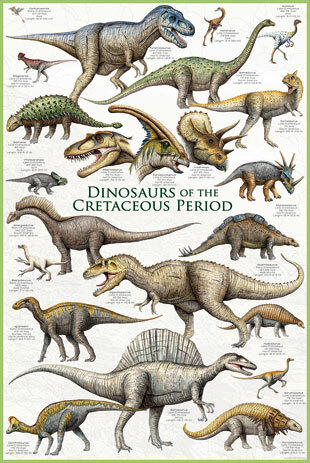 Tags: cretaceous, laminated, poster, decor, room.